I recall sitting down some years ago with a group of guys who expressed the view they found more comradeship and fulfilment in the local pub than the local church, which they saw as irrelevant and at least mildly annoying. I recall meeting over the years a string of casualties who once attended church and sometimes were active in it, but because of some upsetting event they no longer do so. Writing about the church could be a massive undertaking but here I will confine my comments to responding to those points I have just raised. 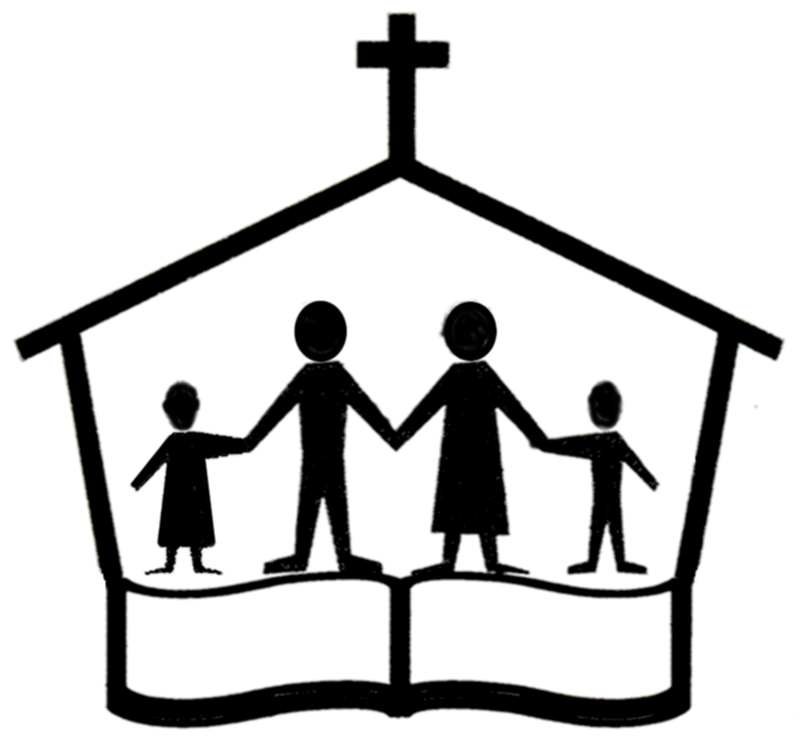 Because I am in the church as it were and have in times gone by been in a position of leadership and because I regard the church as my family, there is a sense that in writing I need to tread carefully and adopt my own maxim that what happens in a family stays in the family. Because of my own more ecumenical understanding these days, I see church in its widest context. The term church conjures up all sorts of pictures for all sorts of people – positive and negative, right and wrong. Some equate church with buildings and organisations and others may go on to differentiate the Church universal from individual local churches. There are those who take a more mystical view and associate belonging to the church with having faith and/or adopting some or other creed, with maybe some form of initiation and rules to follow to go with it, in much the same way as when people join some or other club. But now I feel I should declare my hand. My intention is not to over rationalise, nor defend nor refute the views offered above, nor especially theologise what church should or should not be about. Like many, I have good and bad experiences of church and, while the good outweighs the bad, there has been a good deal of bad even so and part of that is down to my own wrong attitude. Even so, it makes me at least a bit sensitive toward those who have problems relating to church. Because my reading of the Bible leads me to believe the three main pictures of church (Body, Bride and (spiritual) Building) are significant and relevant, I am of the view that the idea of church still has a great deal of mileage and having been exposed to a large amount of disparate church manifestation, it is something I feel I ought to ponder further. Because I am often seen as a maverick, free thinking type that understands what’s what and tends to attract the disaffected who refuse to fit into a mould, I like to think I have something extra to offer. My own background is actually quite narrow and while I can see good elements from most sections of the church, my theology is more conservative and Reformed. While I recoil from liberalism and Catholicism, I like the formers interest in social justice and the latter’s ideas around the mystery of the church. I also get the charismatic concern for spiritual life. Yet I have over the years been exposed to a variety of church manifestations and like to think I have friends covering that wider range. While I am these days associated with the Strict Baptists (strangely enough, it was the only place I felt I could fully be myself), for most of my life I have been part of the Plymouth Brethren, where I served as an elder in my later years, with some sojourning in other Baptist, Evangelical and Charismatic set ups. When it comes to ecclesiology, I am still PB influenced e.g. concerning “the priesthood of all believers”. Yet I have been critical of all the above but this is not the place to elaborate. While there have been times when I was unsettled and searched for a fellowship to join, I was not a spiritual gypsy and having joined a fellowship I generally put my heart and soul into it. I am aware of course of many of the problems that go on in churches and have often been in the privileged position of hearing out those who recounted their unsavoury experiences (although many had good experiences also). It is difficult to be generic about these as there is considerable variation. Putting aside the obvious that values upheld by churches are often an affront to one’s own and the accusation that the reason for non church going is people coming of the boil spiritually, I suppose if I were to sum up the main gripes, these might come down to a mixture of a lack of love and an absence of true servanthood, sound doctrine, community vision, whole heartedness, fear of God, and gospel fidelity, and too often pettiness, political shenanigans, downright hypocrisy etc. While churches are sometimes aware of such things, they fail in addressing them in way that both reaches out to the diverse community it purports to serve and in a way that truly honours the Almighty. One of my frustrations as a community activist is too often I have seen big gaps in the way practical needs were dealt with (or not) in the community (one of my interests is homelessness and after that mental health and asylum seeking) and while church has taken an interest and sometimes the lead in such matters. It has been left to those outside the church too often to continue the work and thereby an opportunity to provide a holistic approach to addressing the needs have been missed. While I relish the opportunity to work with non church folk on social justice projects, it is with regret that in this important area church has fallen short of what it could and should be and do and decidedly not sung from the same hymn sheet. My dream is for the church to take a lead in offering a one stop shop when it comes to dealing with social need, while at the same time inviting people into the Holy of holies to commune with God. So where does that leave me and the reader? In a strange way, while there are all sorts of reasons to be disappointed and discouraged because of shortcomings seen first hand in the church, and as a consequence feel inclined to walk away from it all, I am also strangely encouraged and am so on the basis of trying to see the big picture and a big God. While I would like to convince movers and shakers of the rightness of my views, I believe that has to be God’s problem and prerogative. As for me, I need to draw closer to Him, listen to what He has to say, and do what He tells me to do. Like all who are in the church, I remain exercised as to the part I am to play, and fulfil my part as an “unprofitable servant”. It is important that I love the Church just as Christ, who died for it, does. Moreover, my part is or ought to serve where I can without ostentation and receive whatever exhortation and encouragement I can and if at all possible collective do that which honours Christ, who is its Head. For those who feel inclined not to have anything to do it, my message is to persist with church. As one preacher once said, if you find the perfect church, you must leave or you will spoil it. It is true there will be situations where you have no other option but to remove yourself, but often there is an opportunity to be encouraged and to encourage others. While denomination and type of church is relevant, matters like God’s presence and being where God wants is even more so. Discipline in an undisciplined age is also needed. The picture of a burning coal ember dying out once it is removed from the fire still has some validity. Participating in the sacraments, corporate prayer and exposure to the word (even if the preaching is dodgy) are three reasons to stay for starters, and maybe, as a result of being part of a local church fellowship, you will find ways to serve the wider community. While I have ideas of what constitutes good and bad church practise, it is rarely so simple for those not yet affiliated to join a church based on which scores the highest in such matters, and wisdom is invariably needed and opinions and perspectives vary widely, but it is good to have a spiritual home without having to put on rose tinted spectacles or adopt a goody goody facade. However dire things appear, church IS God’s idea and His instrument to reach the world in a desperate state. My reading of the Bible is however bad church is, a purified and united Church is God’s intention. I recognise too the need to carry out the Great Commission and reach the world with the gospel. Checking out what is going on in the world at large, including persecution on an unprecedented scale, at the same time we do see many signs of LIFE all around us, and usually church is where it is happening.